I love how this easy to grow vine sends its growth down. The owner has trained it over the street-side window so that it provides additional privacy. There’s also two types of bamboo shades, and three spider plants. I also like how the blue ceramic tile adds a decorative element to what is a very functional architecture typical of post-war Japan. 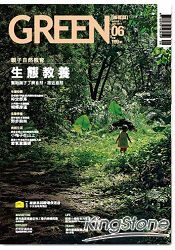 Thanks to Peiyun Lin, an article about Tokyo Green Space appears in this month’s Green magazine, a Taiwanese architecture magazine. The title is “東京都市學，衝突新美學,” which the author translates as Tokyo Green Space: The City Full of Conflicts. The photos are mine, and Peiyun’s story based on this blog. This one stretch of wall at Shiba Koen, with the towering trees above it, provides a rare glimpse into Tokyo’s architectural past. Lotus Editorial kindly sent me a copy of Lotus 149, titled Lotus in the Field, which explores the relations with the countryside. Lotus is a beautifully designed, Italian-English bilingual architecture quarterly from Milan. Lotus 149 includes two of my urban agriculture photographs: one of Pasona’s corporate lobby rice field, the other an outdoor, temporary rice field in Ginza that took advantage of an empty lot between demolition and new construction. I was happy to see that my Pasona photograph extends into a second page, and I like how the image shows a more ambivalent side of the project than the text and photos provided by the architects and corporation. Especially with the post-3.11 energy shortages after the nuke plants have been suspended, creating a show garden with grow lights looks less than utopian. 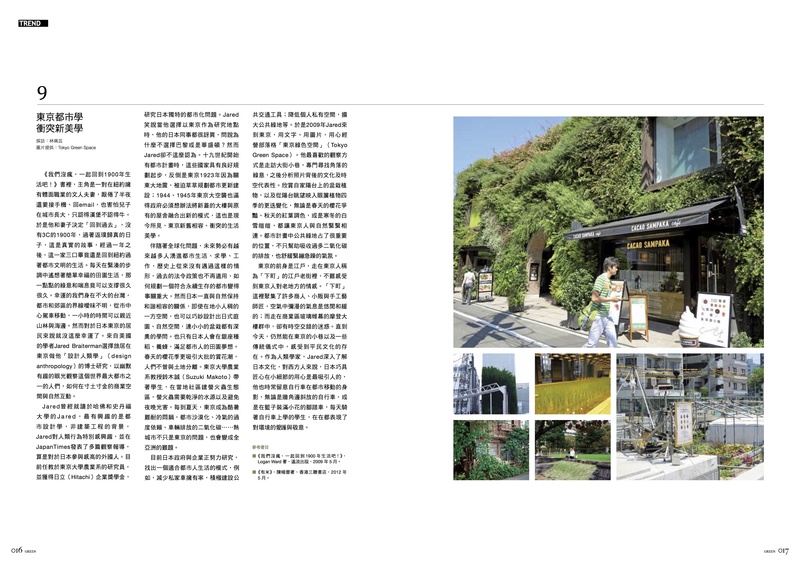 You can see the original 2009 and 2010 posts on Tokyo Green Space that inspired Lotus 149: about Pasona, and about Ginza Farm. “Tokyo seems to be changing into a city that is meant for people,” concludes the introduction to the Tokyo Metabolizing exhibit at the Tokyo Opera City Art Gallery. The exhibit combines models and ideas from three architecture firms, Atelier Bow-Wow, Nishizawa Ryue, and Kitayama Koh, and formed part of the 2010 Venice Biennale. Tokyo Metabolizing provides context for the rapid development of the world’s largest mega-city, and suggests new ways of living well in the city. I like how the architects respond with new dwelling types, including a blending of home and office, residences that share common spaces, and apartments where connectedness with others is valued more than privacy. The architects are responding to new realities of who we live with and how we want to live. In Tokyo the average household is less than 2 people, and these smaller households seek new connections with neighbors, colleagues, and friends. I think the most radical suggestion is that an awareness of other people living around you might be considered a positive feature rather than something to be concealed or suppressed. The metabolizing title harks back to a radical modernism from 1960s Tokyo, and foregrounds the city as a living organism: with a life, history, and progression. Carolyn Steel, in her book Hungry City, uses the concept of the city as an organism to focus attention on urban food delivery, prep and consumption. The urban built environment is also reflection of social life– from tax policy to demographics– and human aspirations. I liked that Atelier Bow-Wow focuses on the untapped value of Tokyo’s void spaces: in-between, often wasted space between structures, which have potential for re-use and for gardens, community, and nature in the city. The exhibit has great scale models, and is at Opera City until October 2. Also worth seeing is a special exhibit of recent works by young artist Ishii Toru (石井亨). Ishii creates psychedelic contemporary fantasies– full of convenience stores and fast food logos– using a traditional yuzen method of dyeing fabric. Most of Tokyo is efficient, dense, and forward-looking. It’s great to travel in the city in a setting that evokes other places and times. Hayashi Fumiko was a famous woman novelist of the first half of the 20th century, and this is the home she lived in for the last ten years of her life. Although the house is less than 75 years old, it evokes a very different Tokyo with its spacious garden. It’s a wonderful time capsule that has been well maintained. Admission is only 150 yen, and in summer the ticket seller offers mosquito spray and hand fans. Tokyo is an endless adventure. Walking through the backstreets of Nakano, I was amazed by this flowerpot garden that covers the entire facade of the house, and even camouflages the car parked in front. There must be hundreds or thousands of potted plants, mostly secured by wire. You can see on the car that the gardener is showing off some winter flowers, like chrysanthemums, pansies, and cyclamens. The car seems very tidy and protected with styrofoam sheets so I am guessing that they really do use their car. I like how they are making car-driving less convenient in order to increase the amount of plants and make their home more beautiful. 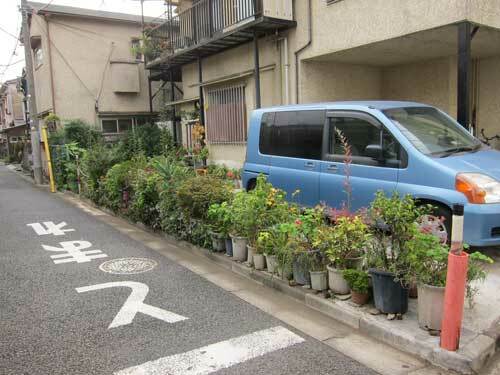 Chris at Tokyo DIY Gardening has assembled four other Tokyo examples where plants seem to have greater importance for residents than the ease of using their car. You can see examples of a similar house on Tokyo DIY Gardening, a perhaps abandoned motorcycle and car also on Tokyo DIY Gardening, Linus Yng’s Tokyo Parallellt, Twitter’s @Remmid’s YFrog stream. I love the amazing spirit behind this Nakano house where more is really more. Covering your house and parking pad with plants gives you a different relationship with your neighbors. I think it’s interesting to contrast this exuberant urban forest with more cutting edge Tokyo architecture that not only ignores landscaping but creates a hostile interface with neighbors. Two examples come from my fall bike architecture tour with Linus Yng. First is the fantastic Endo Masaki “Natural Wedge House.” The triangular shape meets sunshine regulations and provides an interesting and translucent shape. The structure is entirely visible, and the house seems to float on top of the base. However, from the street you can’t see the front door, and there is absolutely no plants as part of the design or actual residence. Instead, this house interfaces with the city through its car. Another example is perhaps unexpected. Ban Shigeru’s Hanegi no mori building is celebrated for preserving the wonderful old forest canopy that surrounds the 10 or so units. Yet, again, this Tokyo architecture seems to draw inspiration from car-dependent cities, with the residences atop a parking lot. From the street, the visitor sees cars first, then the building, then the tree canopy. I wonder if residential architects even in Tokyo imagine that their clients do most of their trips by car. Is this a class bias or a mistaken assumption. Do those with money neither walk nor take transit? Or is it a matter of wanting to show off the houses’ novel designs unobstructed by plants? Devoting so much scarce resources to car parking and access cuts off the home from the neighborhood and promotes a type of urban life that seems wasteful and unattractive. Waseda will be hosting two young Dutch designers talking about the improvised city. Free lecture this Thursday at 6 pm. 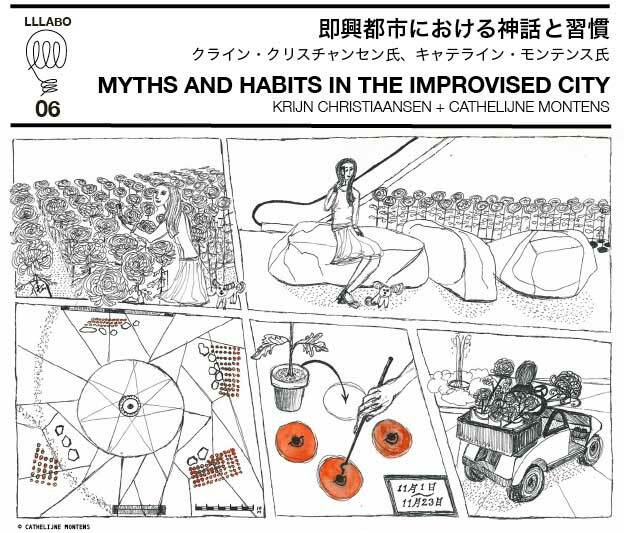 Speakers Krijn Christiaansen and Cathelijne Montensways explore “the ways public spaces and landscapes are made by, used by, lived in, transformed and shaped by people.” Their talk is part of Julian Worrall’s LLLABO series at Waseda’s School of Architecture. Please register in advance. Why is cool Tokyo modern architecture devoid of urban biodiversity? I recently took Linus Yng’s wonderful bike tour of (mostly) Suginami, with a few detours in Setagaya. I highly recommend exploring Tokyo on a bike with this Swedish graduate student in architecture. His tours combine visits to notable contemporary buildings, and a broad understanding of Tokyo’s history, topography, planning, edges, forgotten spaces, and endless complexity. I’ll be running a series of posts sharing what I learned on this 3 hour ride. There were so many interesting designs, so many traces of country roads and Edo canals, and some surprises along the way. Today’s post looks at a remarkable small residence, designed by Yamashita Yasuhiro of Atelier Tekuto, our first stop. I am amazed that in Tokyo, people are able and willing to pay for innovative small residences that stand out from the vast majority of large and small buildings that are built rather than designed. I love how futuristic this house is, and wonder what it’s like to live inside. Yet from a biodiversity and neighborly perspective, I am very skeptical of this project. It seems all the more ironic when I read the Design Boom interview that states the architect “creates his architecture based on the system of society, the environment and the function.” Although the neighboring buildings suffer from a lack of design, I admire how social they are in terms of informal gardens. I wonder why this designed residence is so void of plants. Perhaps the owner has no interest in plants. Yet, I wonder if the architect could not have specified some low maintenance, high impact plantings that would have brought life to the building. Perhaps architects don’t want organic material interfering with the shapes and lines they create. Given how street gardens are so uniquely Tokyo, I think this architect, like many others, has missed a big opportunity to re-imagine public green space and sociability. After watching my neighbor’s home and then garden get scarped to dirt last week, it’s great to see a cafe like this one at Waseda’s Okubo campus where the new building adapts itself to the existing mature trees. With very limited space, much longer than deep, the campus was able to add a narrow cafe that is mostly counter space with views of the sidewalk and street. I like how modern and adaptive this architecture is. These two restaurants, Shizen in Sendagaya and Green House near Omotesando, make interesting use of narrow, vertical, and roof landscapes to express their connection with nature. I like how Shizen, above, uses the narrow space between buildings to grow tall bamboo that rises taller than the building. They have a roof garden, and have painted the walls green. 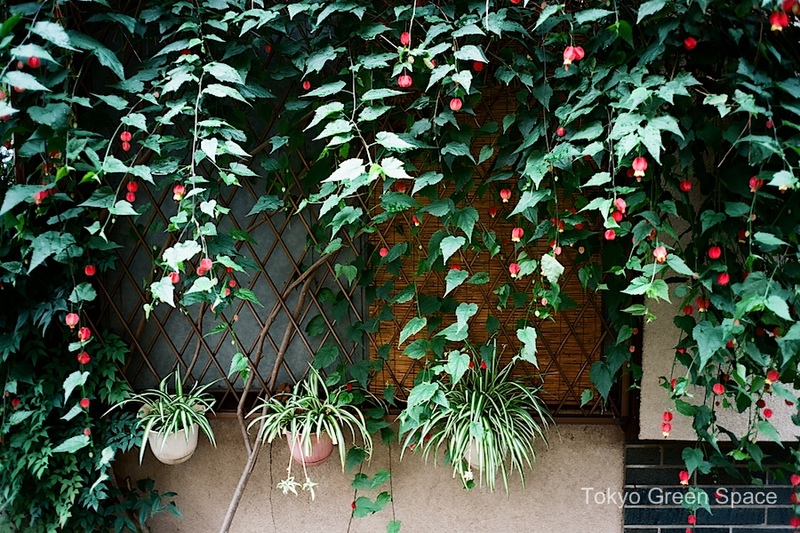 Below, Green House has a simple yet attractive green wall. It reminds me of a small-scale version of Pasona’s facade. It’s a clever solution to the problem of having no horizontal space for planting. I visited the architects at Front Office Tokyo, and had the shock of discovering huge estates, corporate clubs, and sprawling embassies in Azabu Juban. It’s an area between the station and Keio’s campus that I have never been to. Probably the largest and most intriguing grounds belong to the Mitsui Club. The contrast between the gorgeous wooded grounds of the Italian embassy and the newly constructed Australian embassy is painful. The Italian embassy is hidden inside a huge park-like setting. The Australian one is an enormous modern building with almost no landscaping. Perhaps adding insult to their national pride, the animals that represent the nation are in what look like cages. Is this to express the cultural heritage of the former penal colony? My spouse reminds me that Australia is one of the few countries that eats their national animals. Is that bad or just practical?